Our intent, here at Straight from the Horse’s Heart, is not simply to promote the book by the same name but to give a voice to those who cannot speak for themselves. Among these pages of posts you will find good news and a whole lot of “not so good news” for our equine companions. News stories on the plight of our native wild horses & burros, rescue, horse slaughter, neglect and politics as they relate to horses will be posted, along with stories and “op-eds” from the book’s author R.T. Fitch, and assorted other writers and parties tied to improving the welfare of our American equines. What started out as a simple blog to promote the message of the plight of our U.S. horses has turned into a focal point for issues in the equine community. So grab your keyboard, fasten your seat belt and hang on as we take you onto the real-time battlefield of Equine Welfare, the ride could get bumpy. Hi I am Breanna Intermill, I am one of Jaime Johnsons students I just want to say you guys stand for an amazing purpose. A horse is a beautiful animal, it belongs to the Mammalia class and has the binomial (scientific) name of Equus Caballus. 100 years ago we had no oil and horses. 100 years from now we will have no oil or horses. Will the BLM pick up the plow, pull the cart, fight the wars? I think not. We must look back to go forward to a time before oil, what energy is left must be used wisely but eventually it will run out. We must preserve a gene pool of natural selection and survival of the fittest. We must expand the ranges and allow our mustangs to breed for our own sake. Dear Frank you make all the good sense , what you say is all true, the horses have been our prestigious allies , if you read history , they have always been there for us……I am sick and tired of their torture, and expolytation , i cannot for the life of me figure out why everyone doesnt see their magnificence and that truly belong here with us FREE to Roam without question…………………………..They are the only animal that can commuicate, heal you without speaking…………………….They are truly magical and anyone whos has been within 5 feet of them knows this………………Is the BLM so entirely ingnorent to this fact, they have taught us, many things that one cannot learn from a book, I know this first hand, they pocess the knowledge of the ages , they had been refered to in history books as noble steads so rightly so…….They are exactly that and so very much more…………..
RT, Thank you “for being Here” for our wild horses! 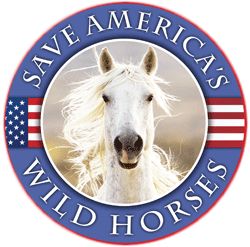 may i add…..thank you for being here for our wild horses AND our wild burros, & for ALL horses whether they are domestic OR wild, & thank you for being here for US, rt….for helping show us the way to the hearts, spirit, & souls of all our equine friends. This blog was first set up to help get the word out about the book…which is about getting the message out…but somewhere we hit a fork in the trail and began to blaze our own path, one that would help to pull us together and give us strength and that is all of you. Your thoughts and ideas are being carried forward and this place has become a living, breathing organism that is steam rolling forward on the road to saving the horses. Keep the momentum at a gallop, we got a ways to go but I am now certain that we will get there, together. Huge Thank You to all here, mr. Fitch is so very right……………..everyone here in their very own capacity realizes that these Beauties are our key to the future of that there is no doubt………………and how lucky are our horses to have all these people giving their all to save them………………………. We all here are in the realization that we can and will save them that is what it takes, to believe in our horses so fullythat nothing will stand in our way to accomplish this………………………….May everyone here be blessed for their dedication to The Wild Mustang ”””””””””””””””’ for which they are so truly gracious………………….. I just quoted you in my profile on Facebook. “…So grab your keyboard, fasten your seat belt and hang on as we take you onto the real-time battlefield of Equine Welfare, the ride could get bumpy.” I am in South Florida and after a lot of work and pain, law enforcement finally went into what is called the C-9 basin and started to shut down the illegal horse slaughter facilities down there. That is due to Richard Couto, who started a group called the “Animal Recovery Mission.” I’m becoming very involved in the Mustang issue as well. It’s turning into equine warfare for me–for the love and respect I have for horses, it’s worth it, and I’m proud of it. Thank you so much for all you do in trying to save these horses. Please got either to my fan page at Facebook or my My Space site and listen to my song Wild Horses. I stopped performing this song in 1993 because of death threats and just got it back. I’ve released it as a digital download at http://www.cdbaby.com/cd/canfield3. My hope is that this song will raise awareness (and some money) of the plight of the wild horses in America. A portion of all downloads will go to the Animal Welfare Institure in Washington. The BLM ships horses to this area for possible adoption. After inspecting the horses, I ‘ve wondered why there are horses with conformation issues. Seems as if the BLM might be either keeping the horses with the best conformation for themselves or else for a rancher. It’s a shame. Some people have criticized wild horses saying that they are full of worms and such. I give them a much-needed education and explain that almost ALL horses have worms..and are treated for such. Nature takes care of itself. Let’s separate this nation into those that love animals and those that don’t or couldn’t care less…Maybe the next BLM sale will be interesting…maybe not…..
And, every one of my animals has been a rescue with some health or conformation issue and SO WHAT? They are wonderful beyond words! thank you for all your hard work you are wonderful. I am new to this cause but intend to do the very best and most i can to help. I really loved the book and look forward to the next one. I am very saddened that people don’t care what happens to our horses. I am in Montana and they are trying to build a slaughtering plant in our beautiful state. It is disgusting!! Thank you for your hard work for the horses. Please let me know what I can do to help save them. I have never been able to see them and may never be able to now. You rock RT Fitch. God bless you and what you are doing for our horses! If you ever get out to Rapid City, SD. look us up. We would be honored to have you visit our sanctuary. We take in what other people disguard and love and adore each and every horse, donkey and mule. They live a life of ease and papmering until they cross the rainbow bridge. Thank God for people like you! !